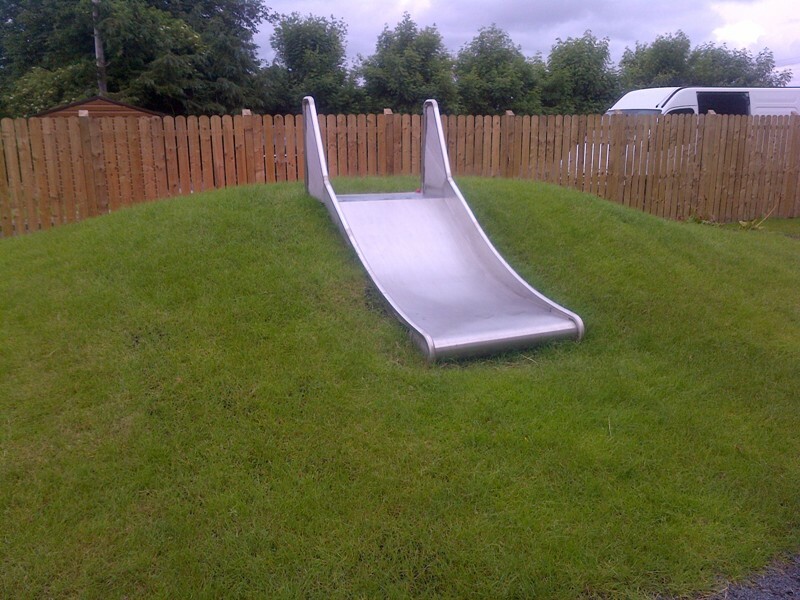 Wide slide which in mounted on landscaped mound. Within the mound is a long PE tunnel with a diameter of 0.9m. Mound steps are made of hardwood. Materials give maximum resistance to vandalism while retaining high safety standards.